The World Series of Poker Main Event has reached the November Nine, and while the tournament may not have the star power it had hoped for, there is no shortage of poker talent or interesting story lines at the final table. 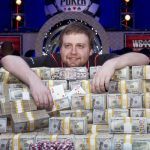 The last elimination of the WSOP took place in the early morning hours on Wednesday, leaving just nine players still in contention for the biggest title in tournament poker. 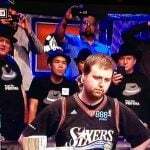 The most notable player remaining in the field on Tuesday night was easily Daniel Negreanu. The six-time bracelet winner had never before made a Main Event final table, and while he was on a short stack for much of the day, Negreanu seemed to be marching towards a likely November Nine appearance. But with just 11 players remaining in the tournament, Negreanu was once again all-in with his tournament life at stake. This time, he was up against chip leader Joseph McKeehen, who had a flush draw and a gutshot straight draw against Negreanu’s top pair on the flop. 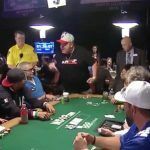 The turn gave McKeehen even more outs, and when he made his straight on the river, the fans in attendance were stunned to find out that one of poker’s most popular players had been eliminated so close to the final table. Negreanu’s exit threatened to take the life out of the Amazon Room, which was packed with spectators taking in the final two tables of action. But nearly the entire rail stayed to see what would happen once the field was reduced to ten players. After several close calls, the November Nine was finally set when Alexander Turyansky was eliminated by McKeehen. This time, it was a coin flip that led to the elimination, as McKeehen’s pocket queens were able to hold up against Truyansky’s AK. With Turyansky’s ouster, the tournament paused and the November Nine began their celebrations. Each player had now clinched the ninth place prize of just over $1 million, a sum they were able to take home for the time being while they wait for the final table to be played out later this year. The favorite heading into November will undoubtedly be McKeehen. With over 63 million in his stack, he has about one-third of all of the chips in play. 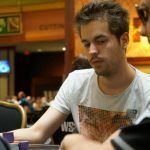 He also has some WSOP success in his past: he finished second in last year’s Monster Stack tournament, and has also won two WSOP Circuit tournaments. In second place is Israel’s Zvi Stern, who comes into the final table with just under 30 million in chips. He’ll be followed by Neil Blumenfield and Pierre Neuville, the two oldest players in the field. In fact, Neuville, at age 72, is the oldest player ever to reach the November Nine, and has nearly $2.2 million in career tournament earnings. In fifth place is Max Steinberg, the only bracelet winner in the group. These days, Steinberg is focused mostly on playing daily fantasy sports, and actually won his Main Event seat on a satellite held by DraftKings. 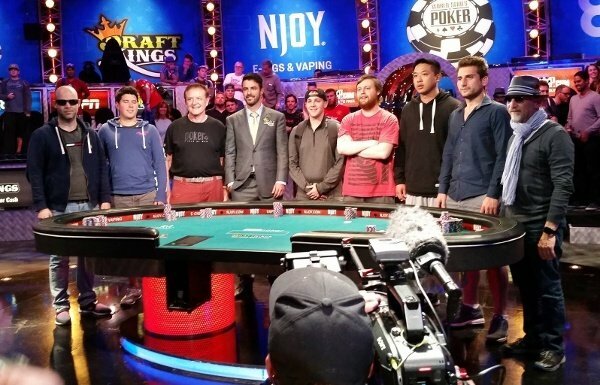 The two youngest players in the November Nine, Tom Cannuli and Joshua Beckley, are both from New Jersey, and come into the final table in sixth and seventh positions. Finally, Patrick Chan and Federico Butteroni are nearly tied for the shortest stack, with each having about 6.2 million to play with when the tournament resumes. The Main Event will resume on November 8, with a winner scheduled to be determined on November 10. The players will be competing for a top prize of $7,680,021.